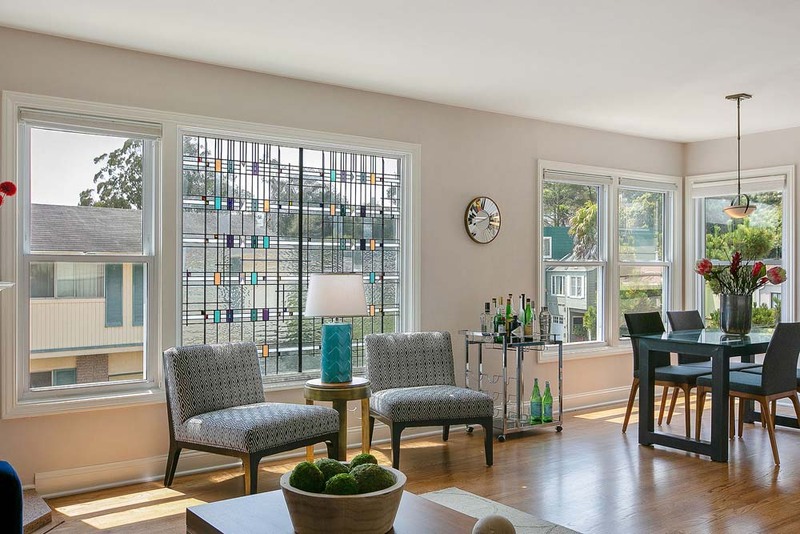 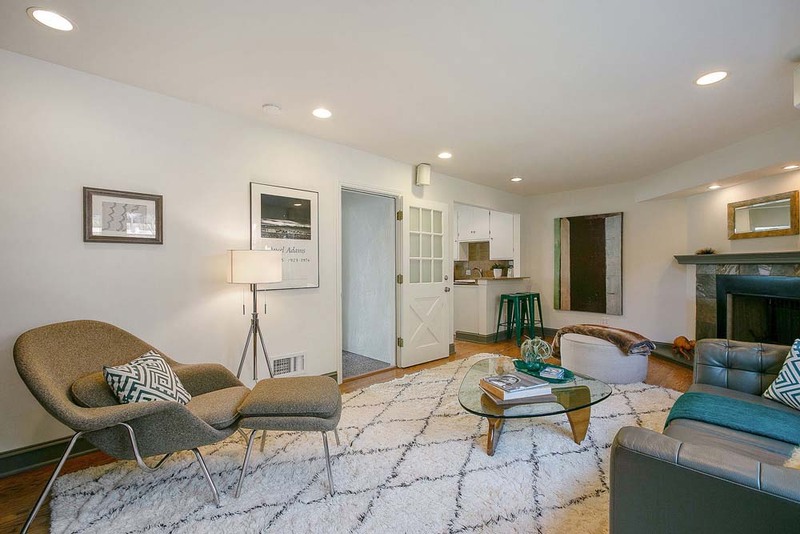 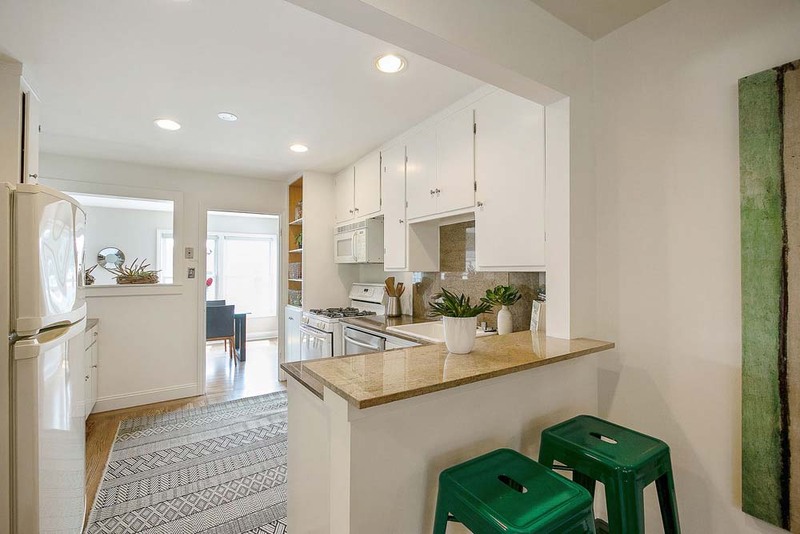 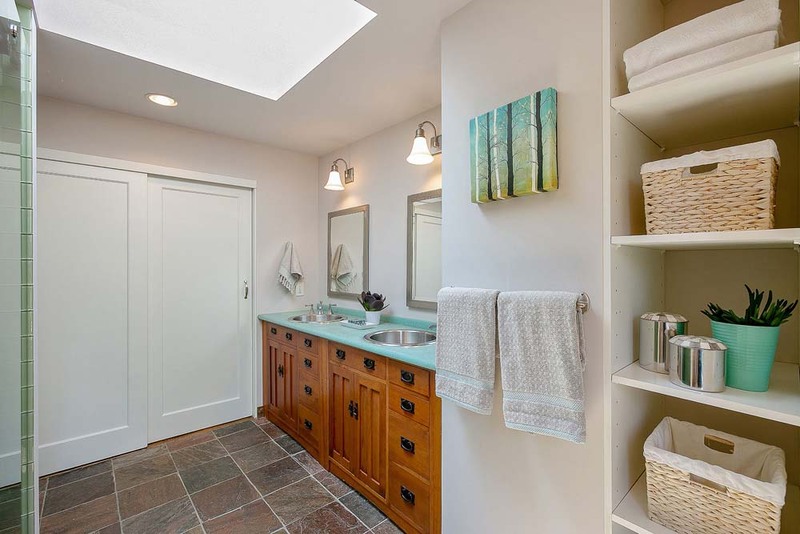 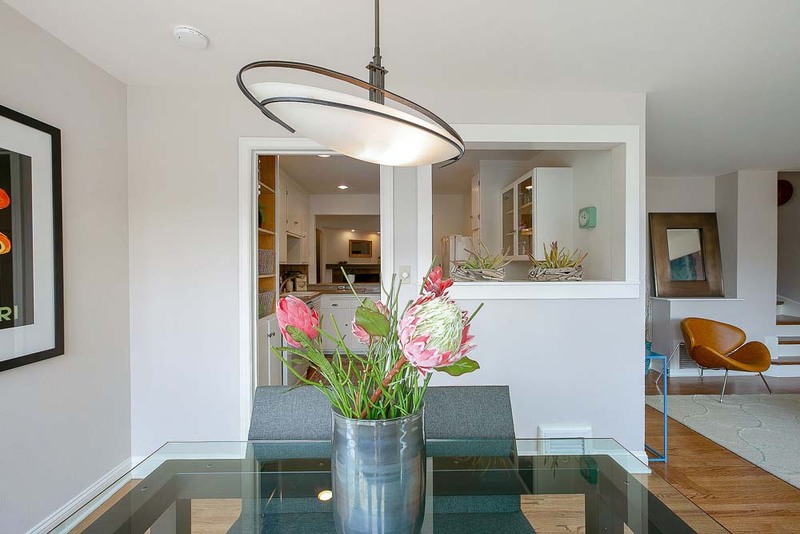 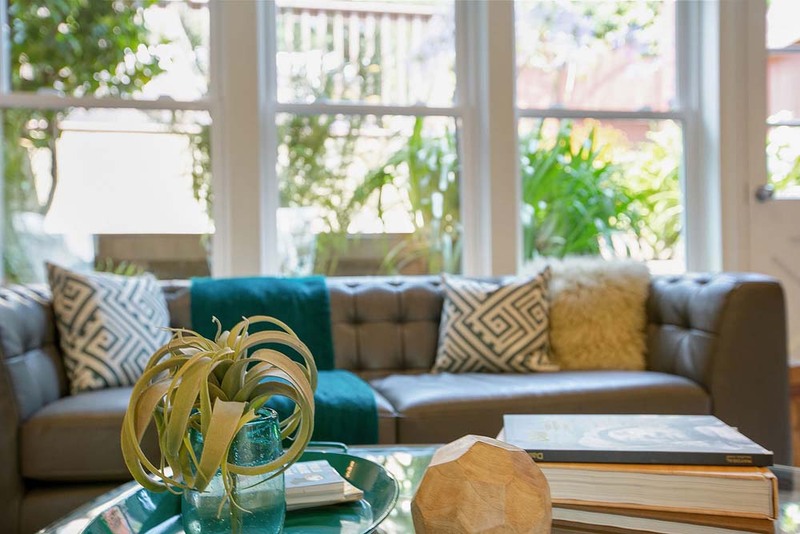 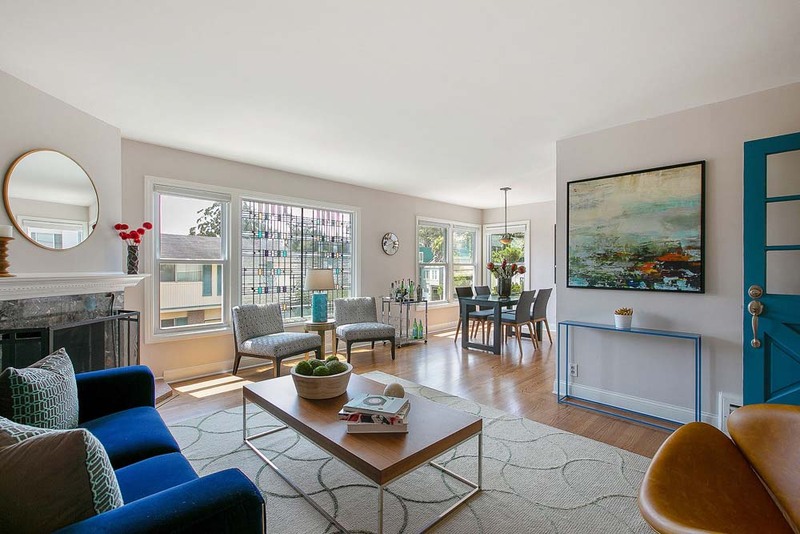 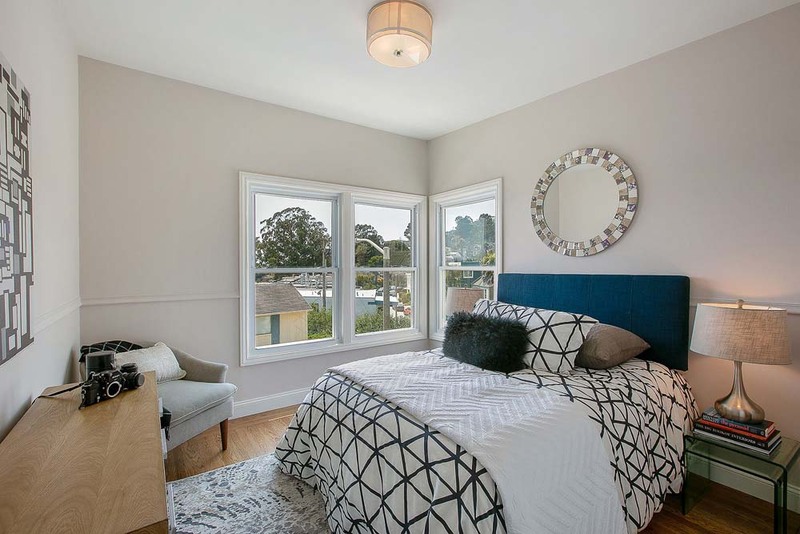 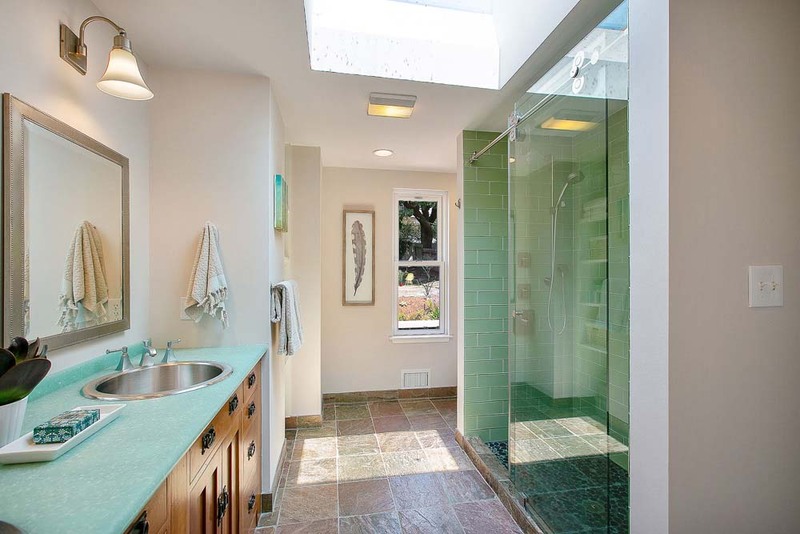 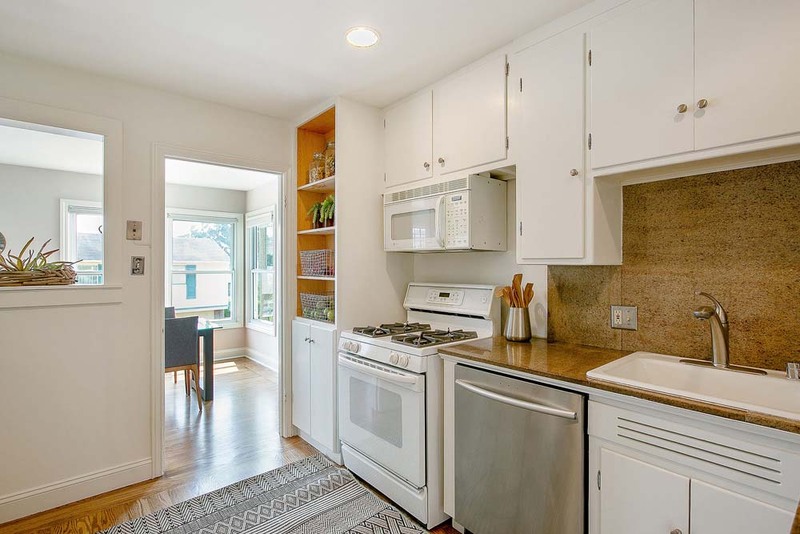 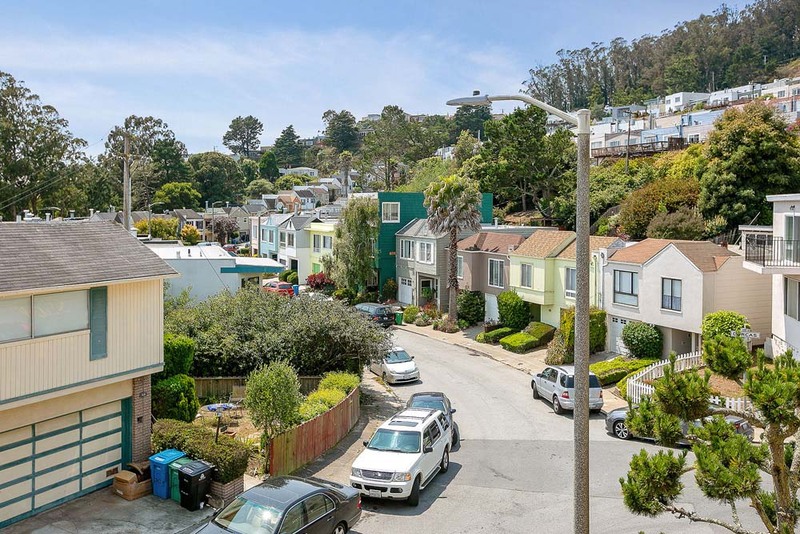 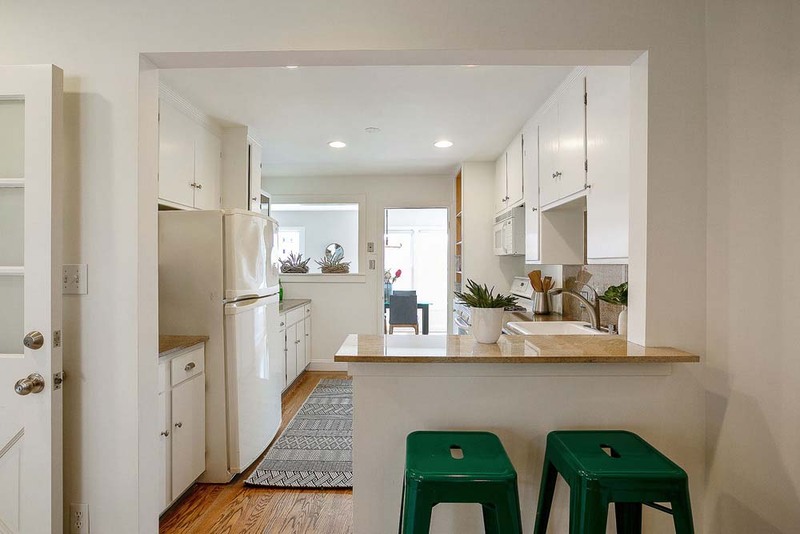 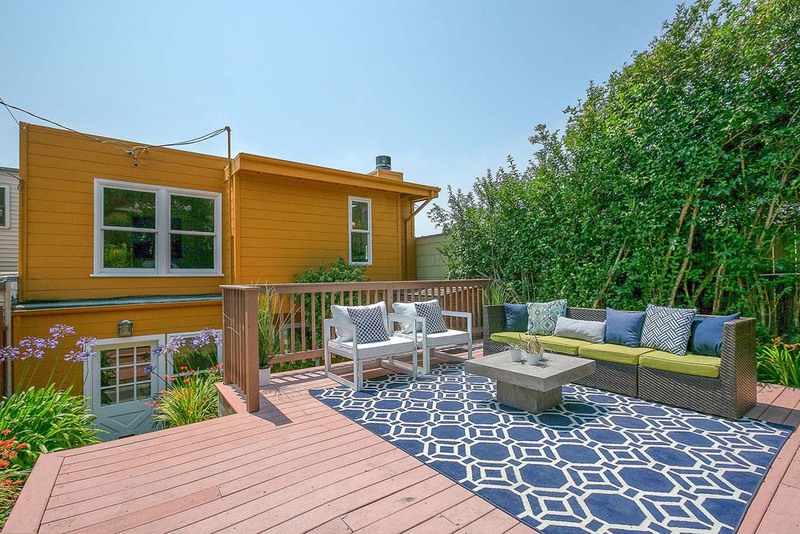 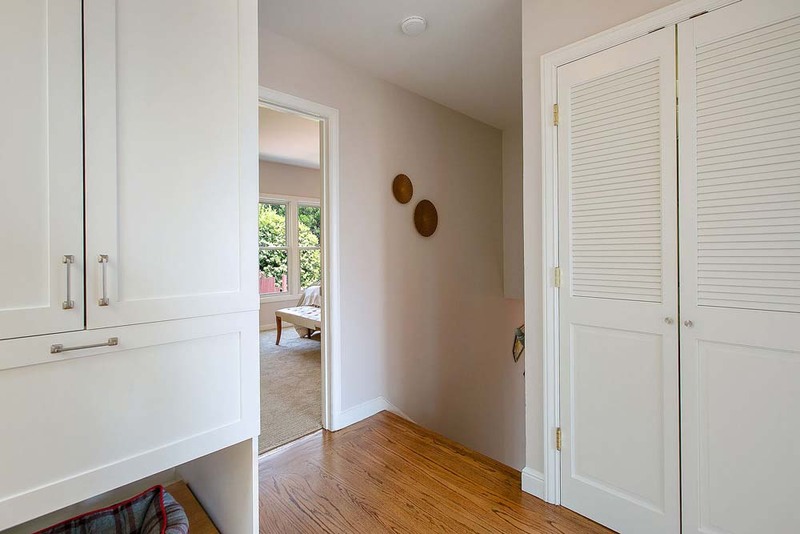 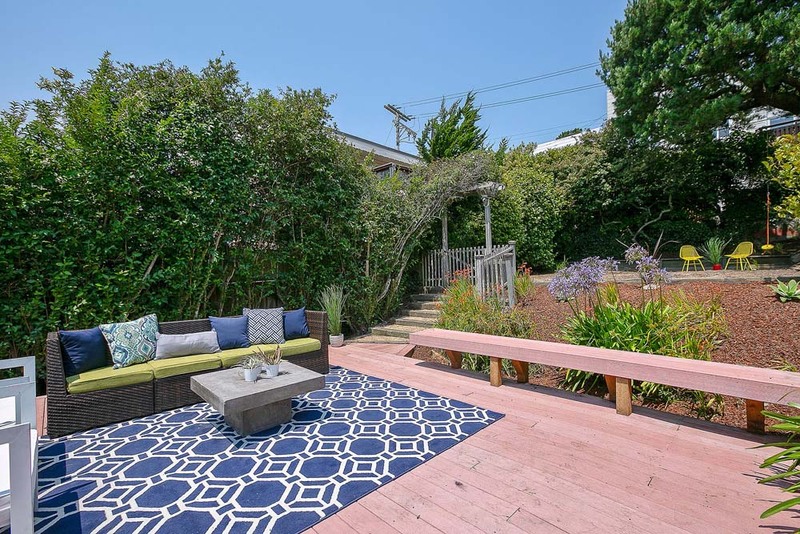 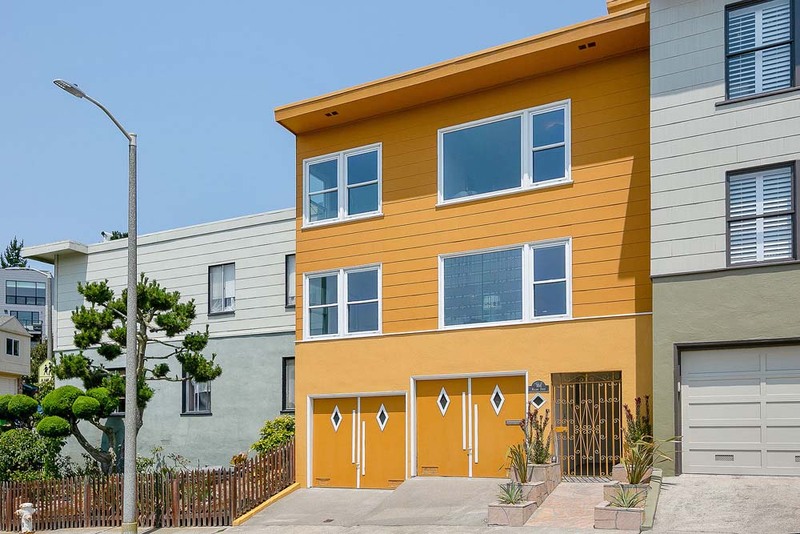 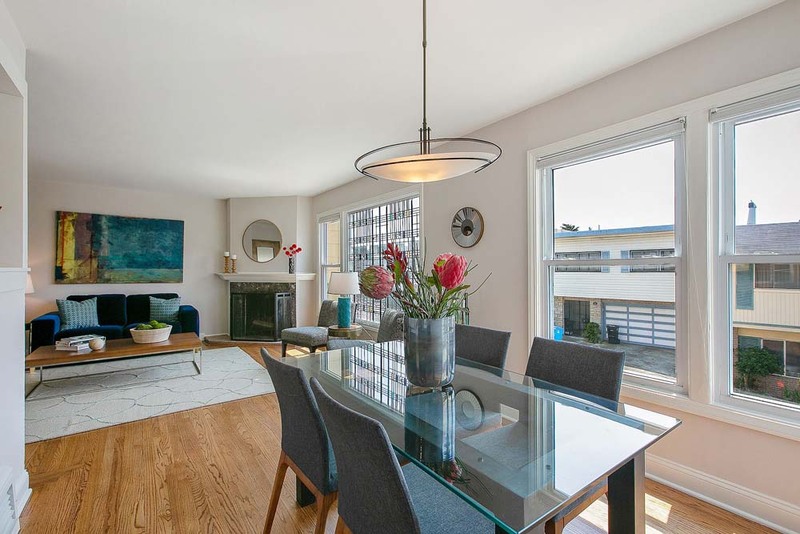 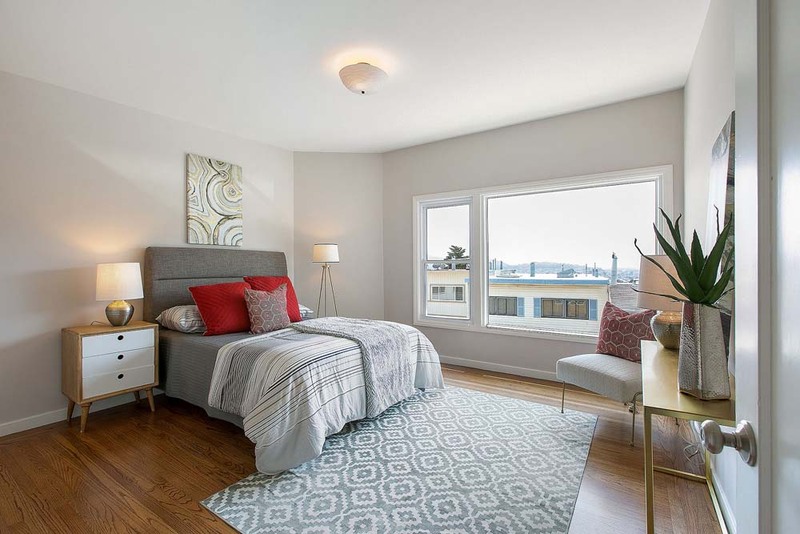 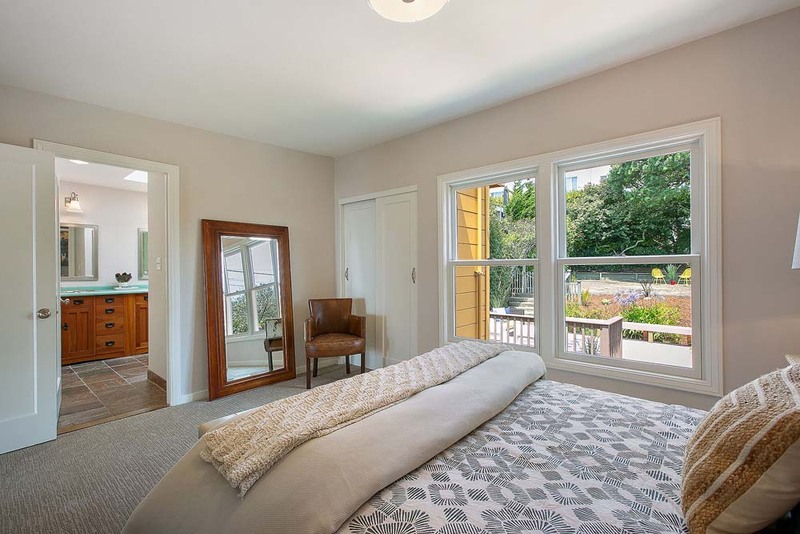 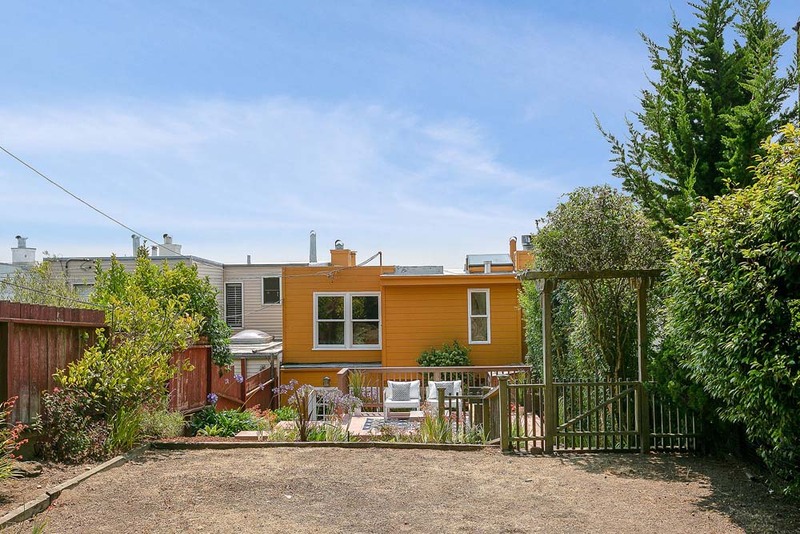 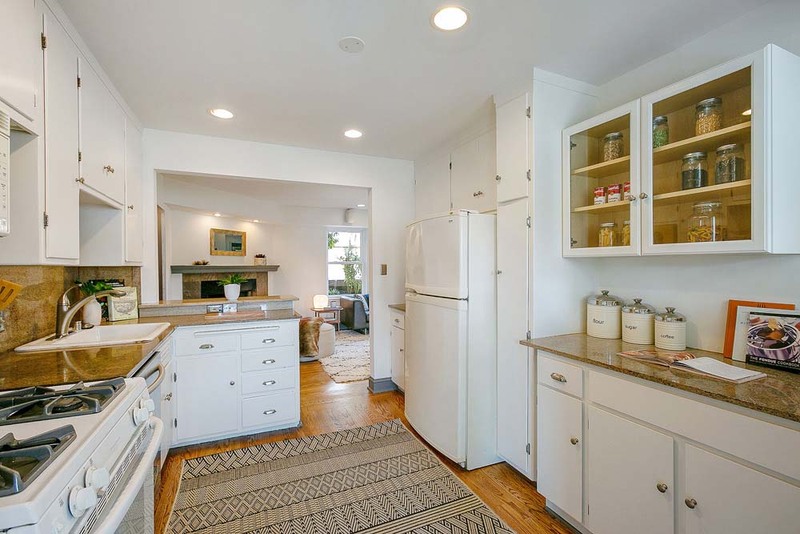 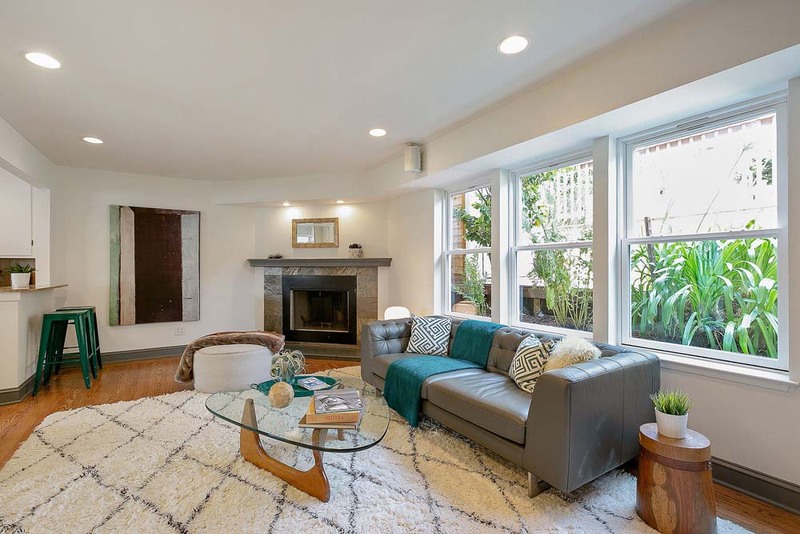 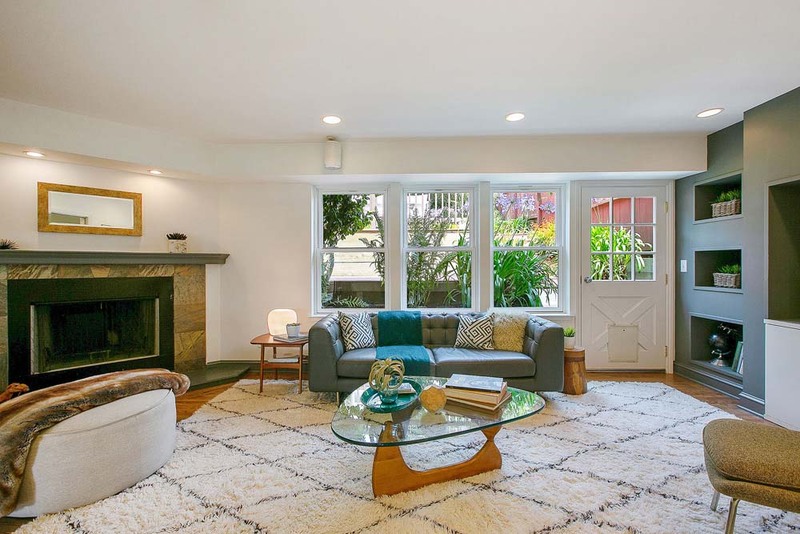 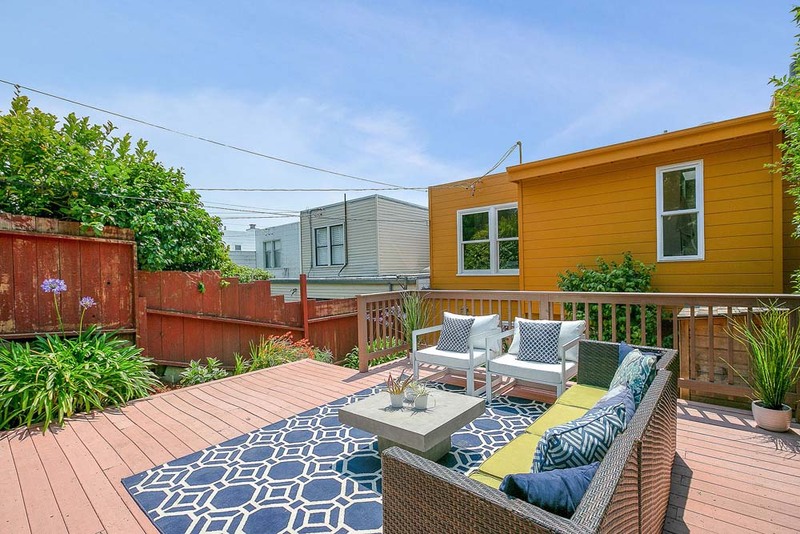 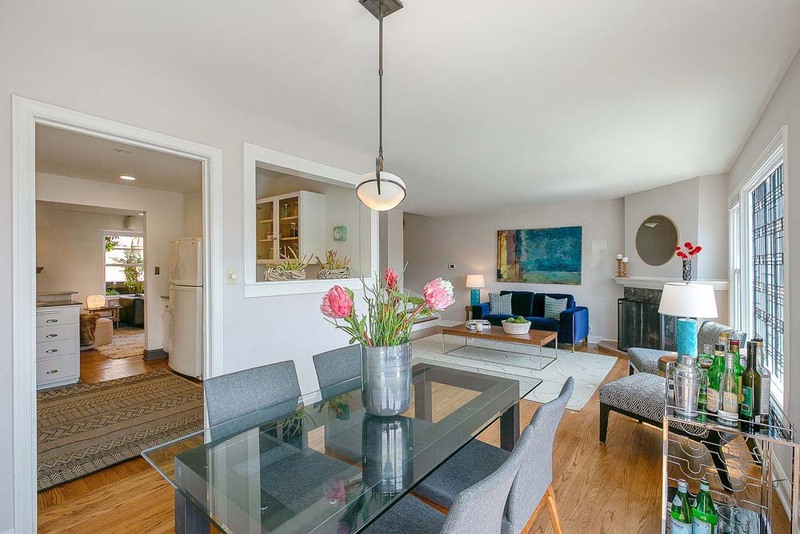 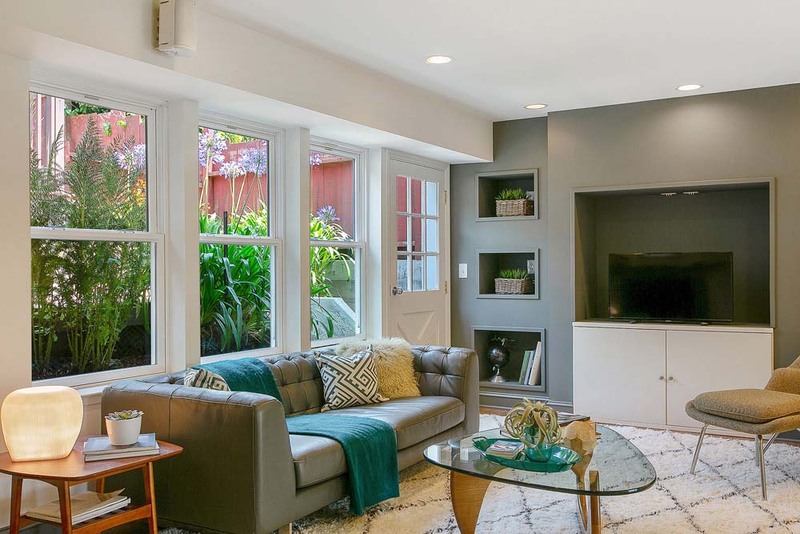 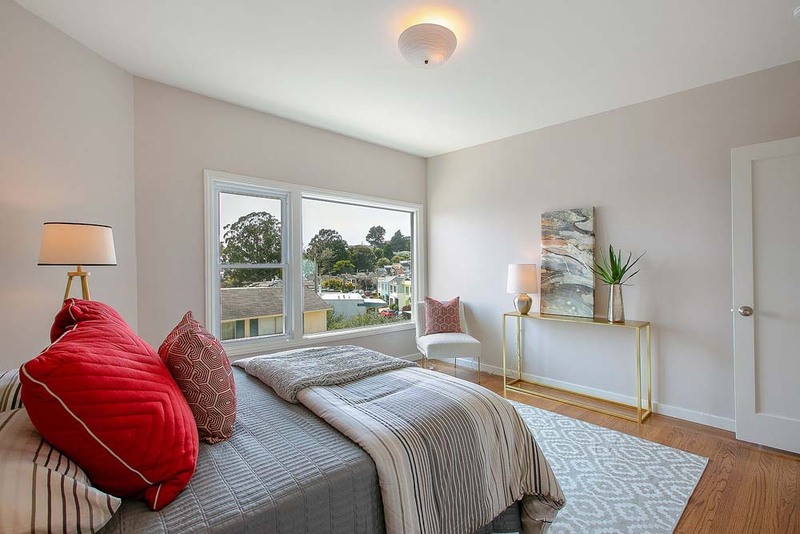 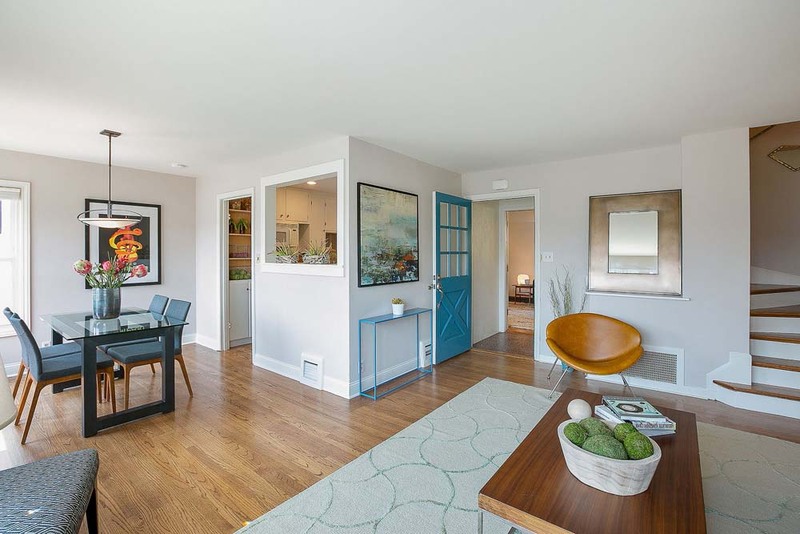 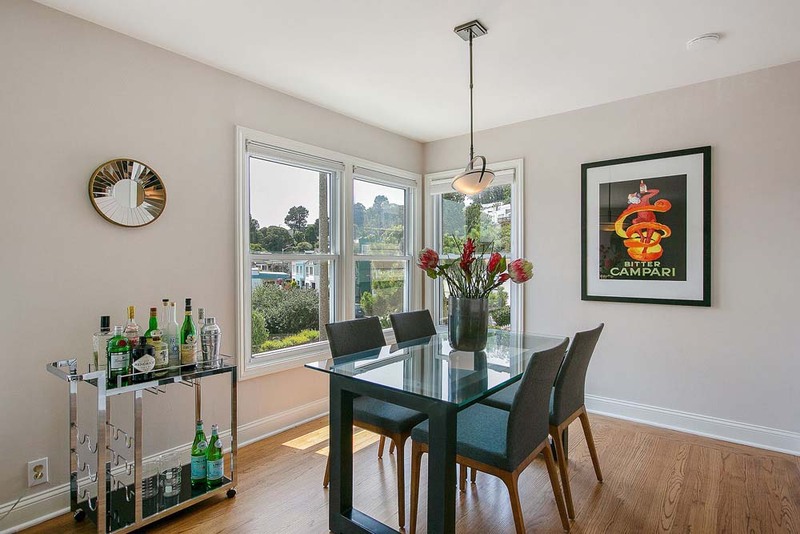 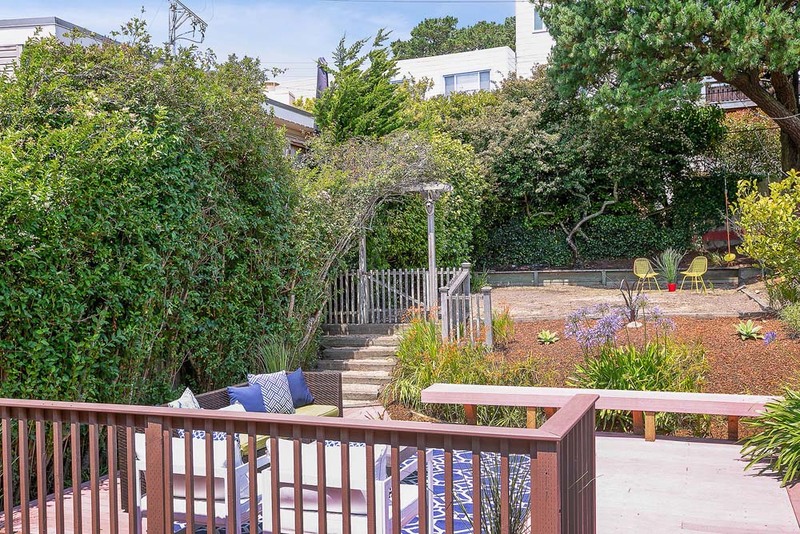 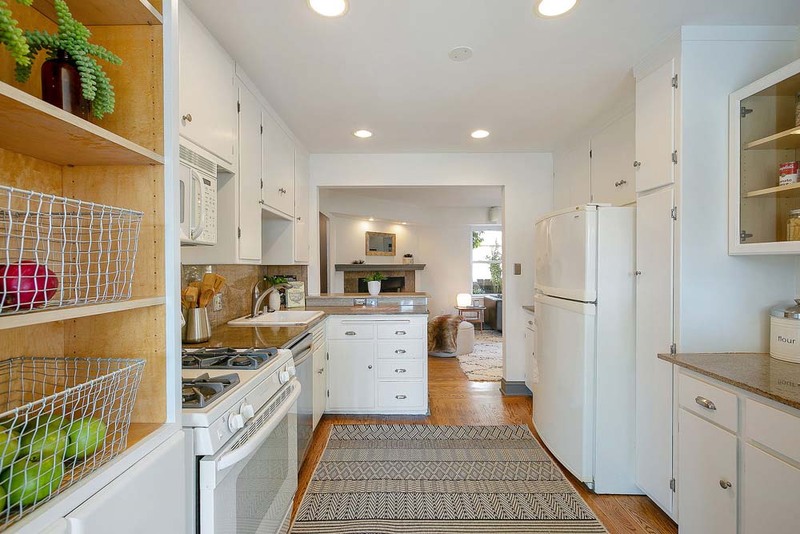 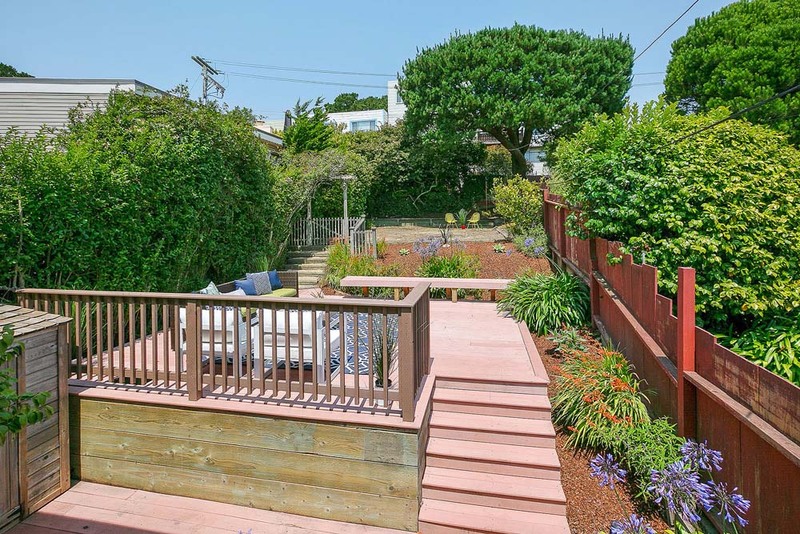 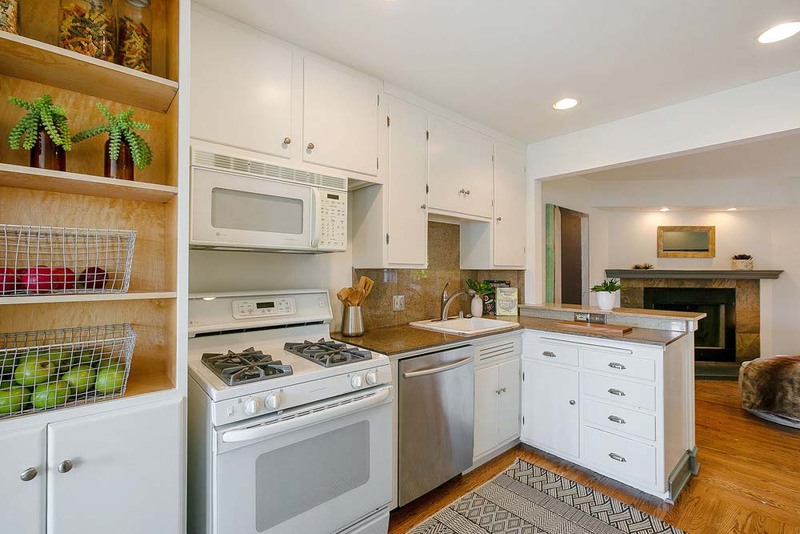 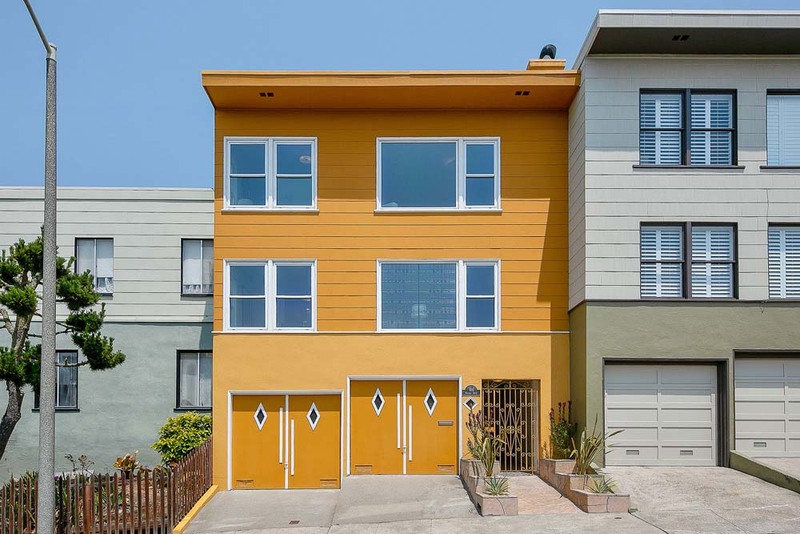 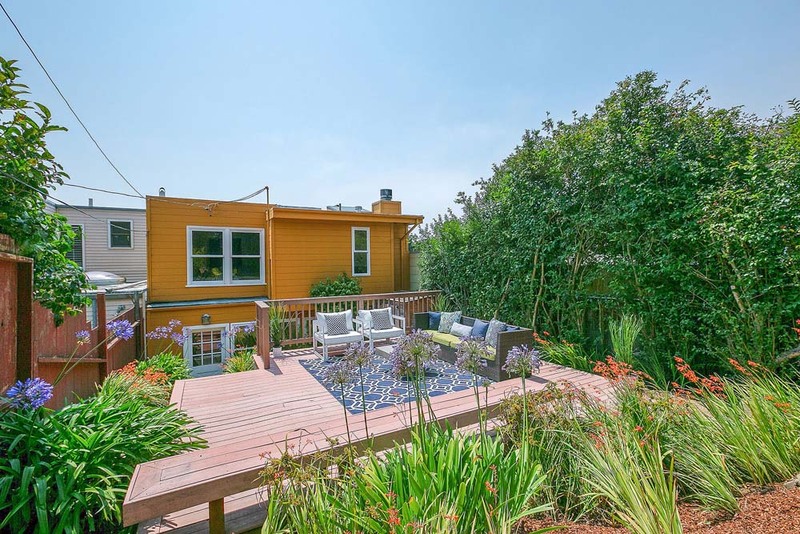 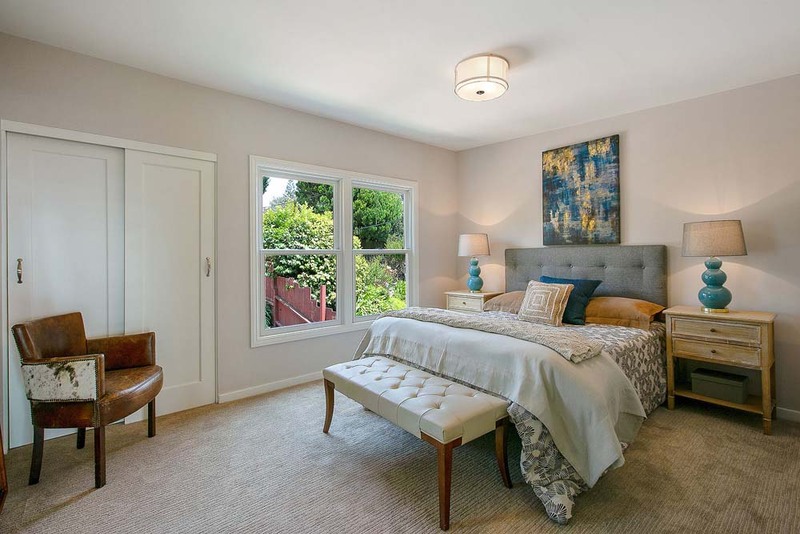 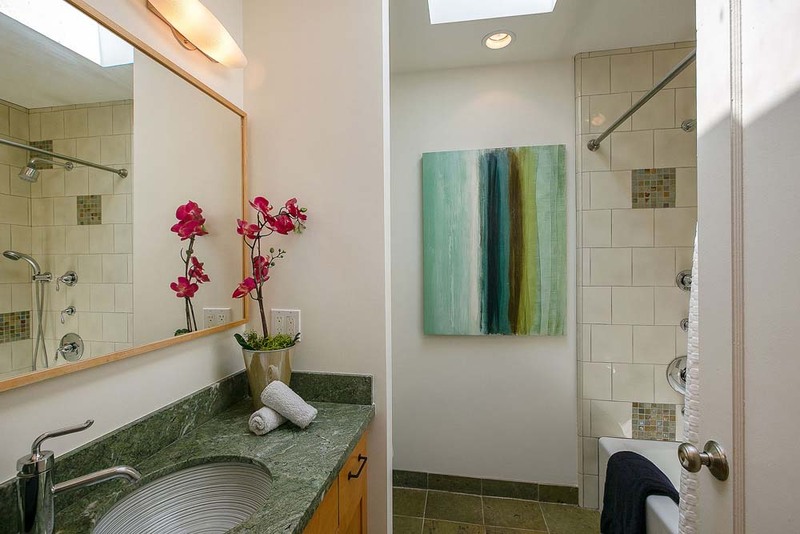 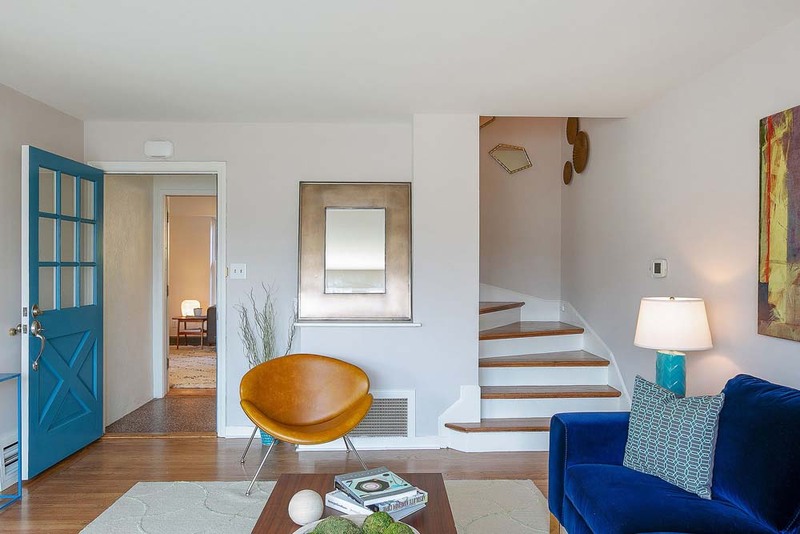 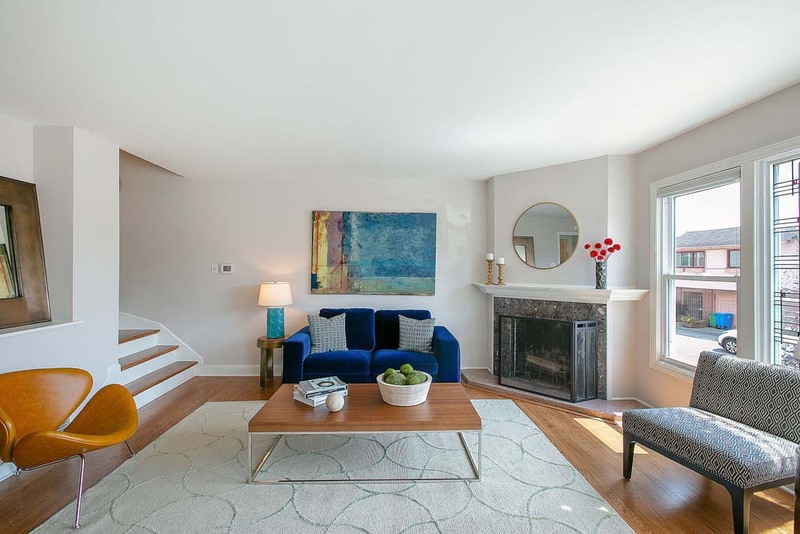 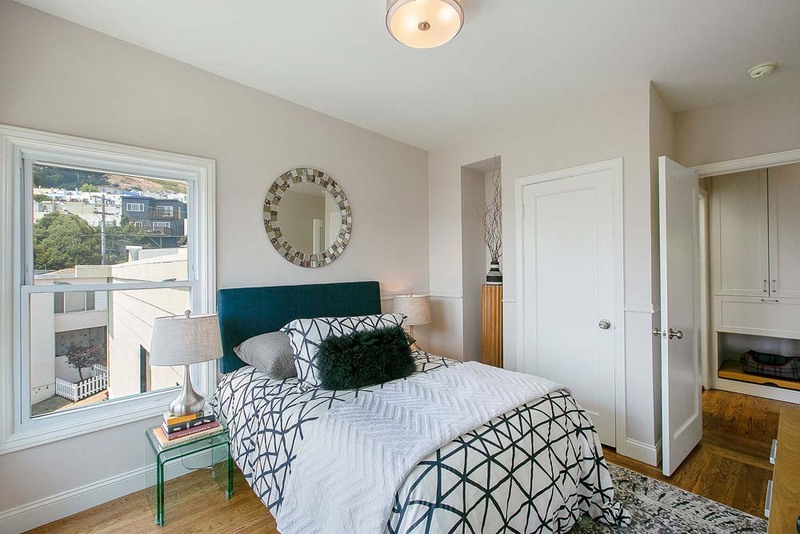 Nestled among the gentle terraced streets of Miraloma Park – this three-bedroom, two-bath home offers quintessential south-western hillside views. 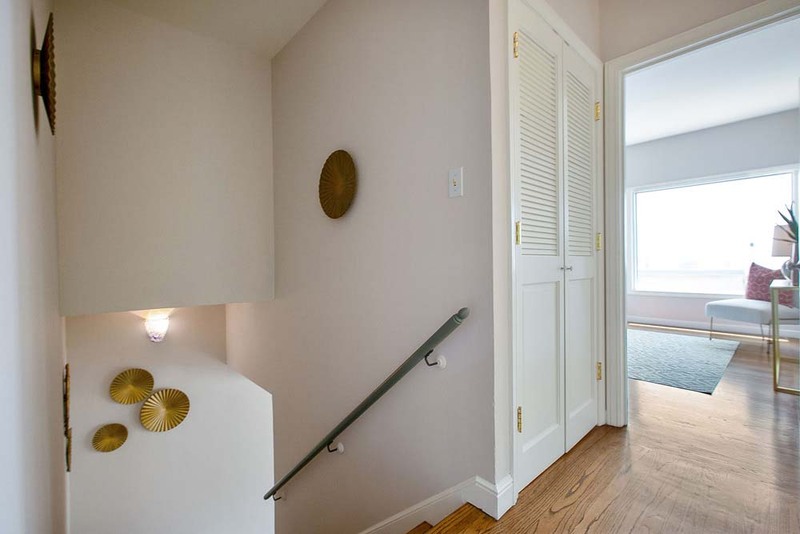 A flagstone walkway with side planters lead into the entry tunnel stairs to the main level featuring a light-filled living room with corner fireplace, a custom window insert by award-winning architectural stained glass artist, and adjacent dining room with a pass-through to a remodeled kitchen with granite counters, gas stove, built-in microwave and custom cabinetry. 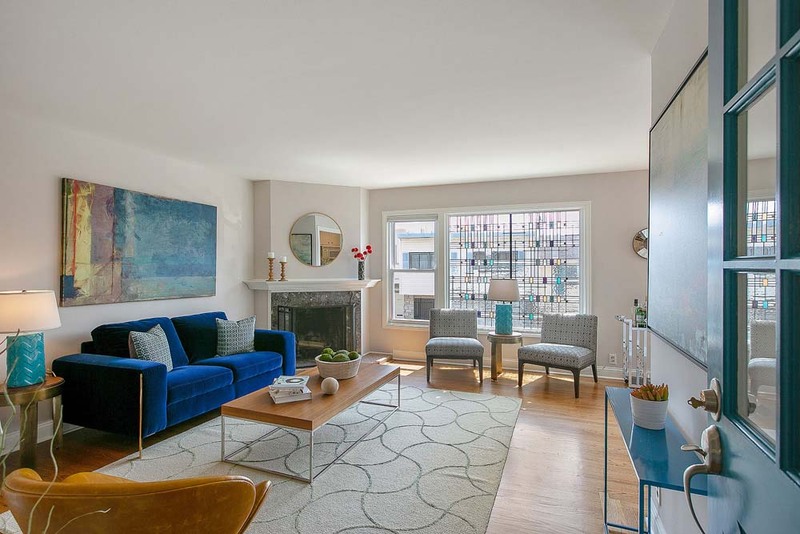 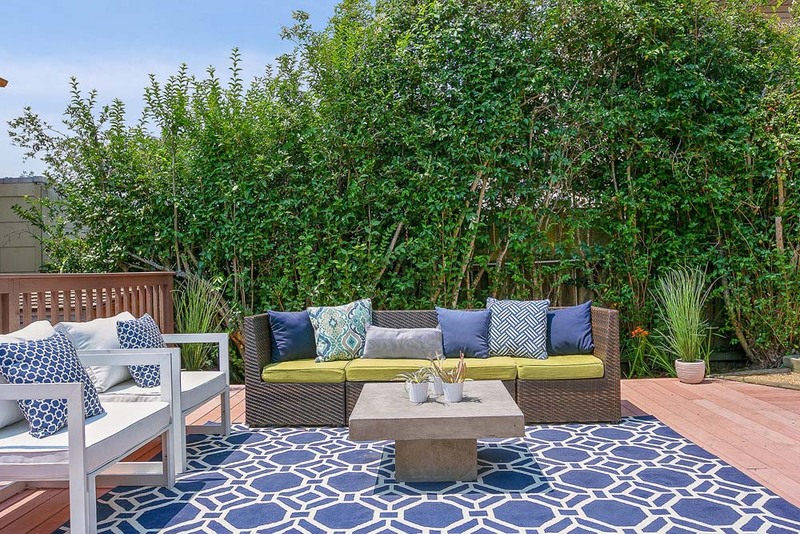 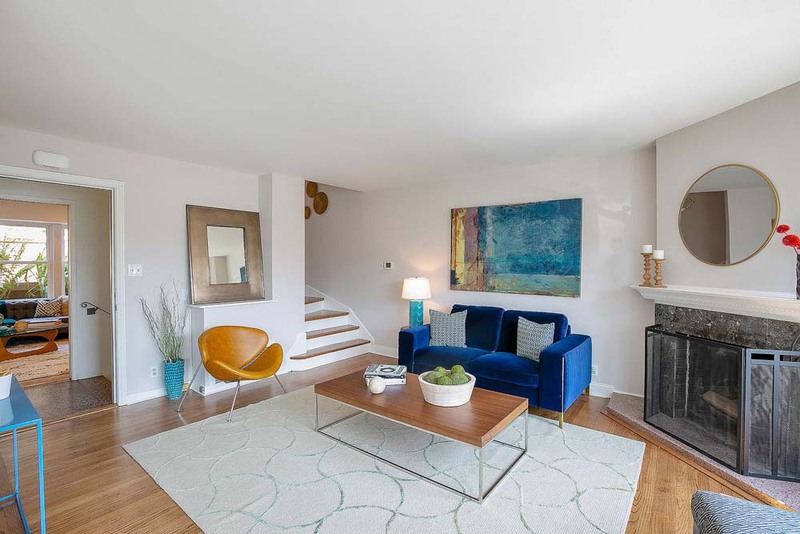 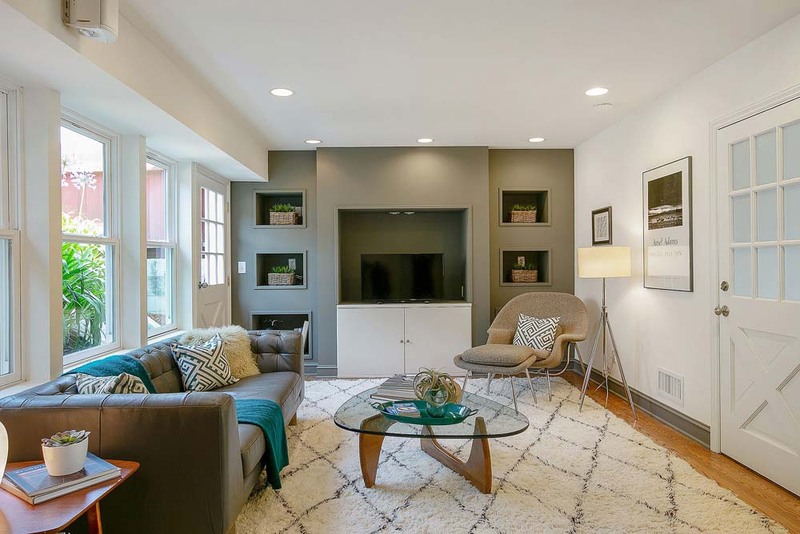 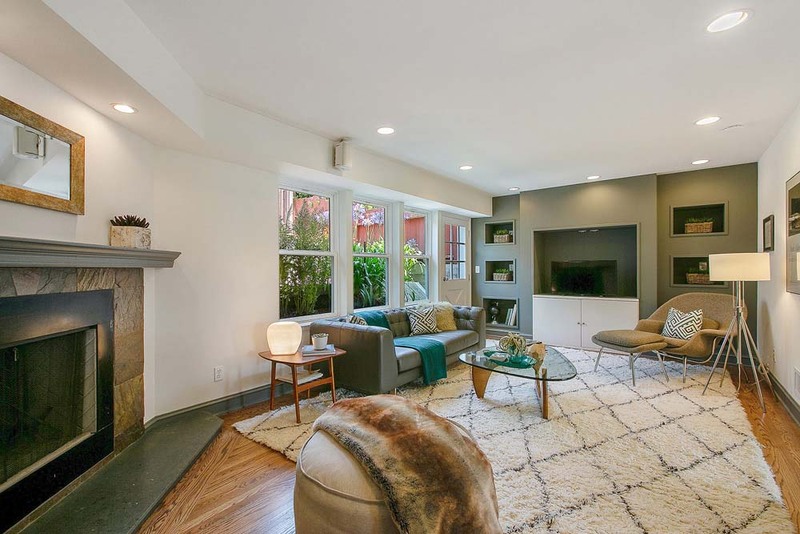 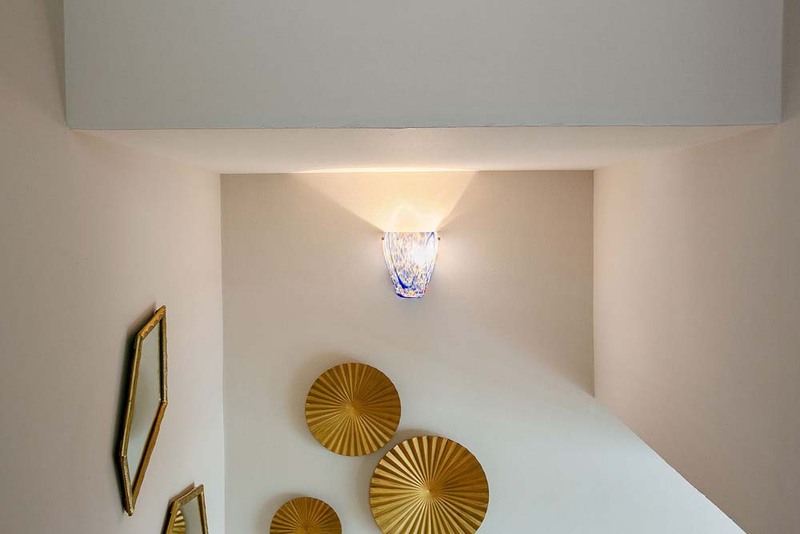 Perfect for entertaining, a spacious family room with wood-burning fireplace and a media wall with built-in cabinetry adjoins the kitchen, with overlooks and direct access to a terraced rear yard with two decks and gated stairs to a large level upper area. 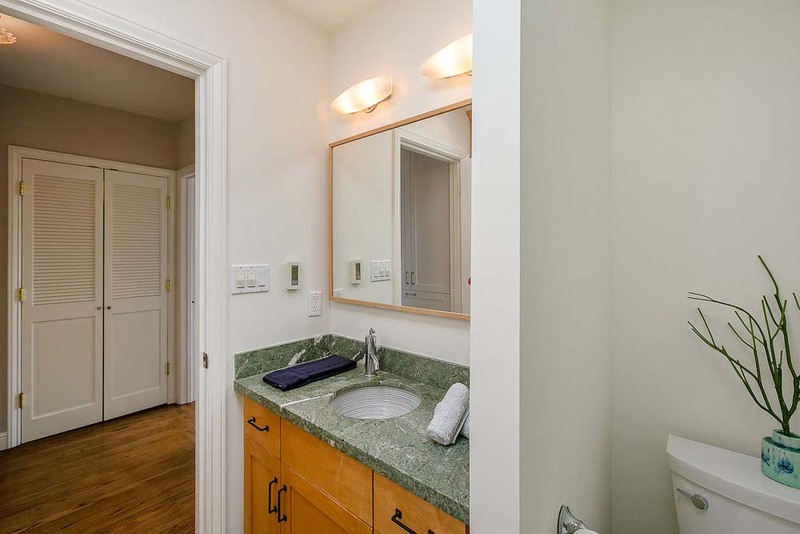 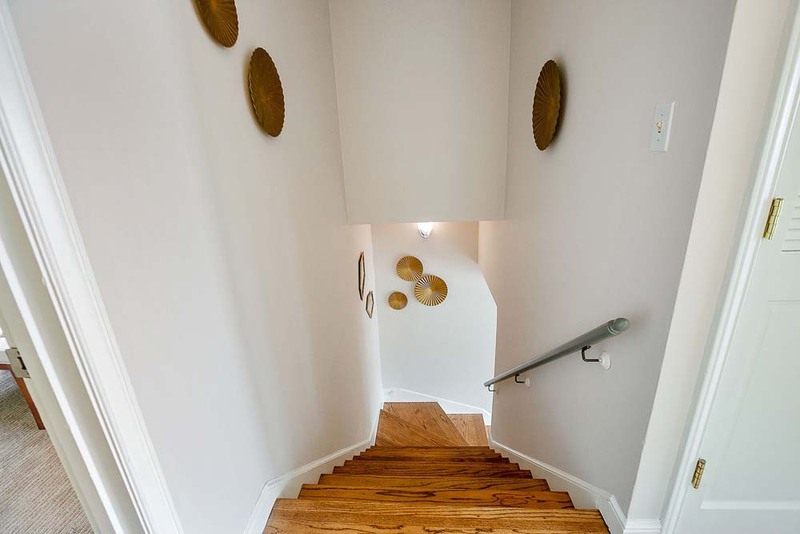 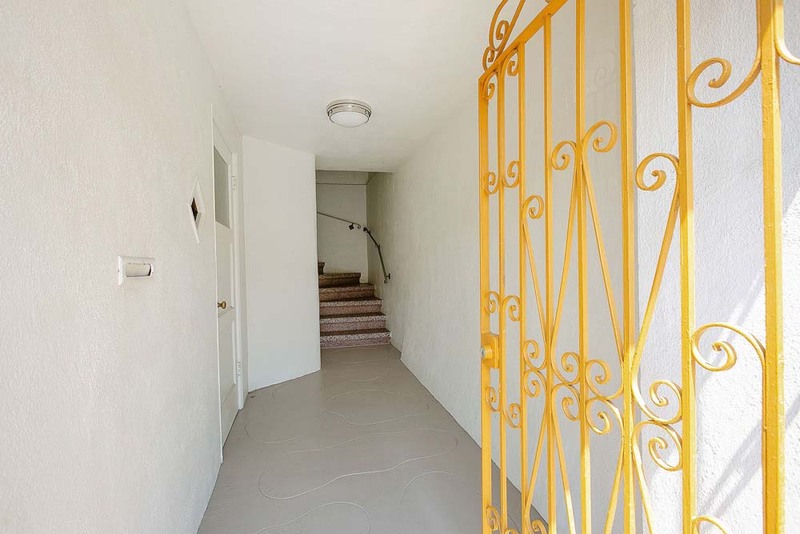 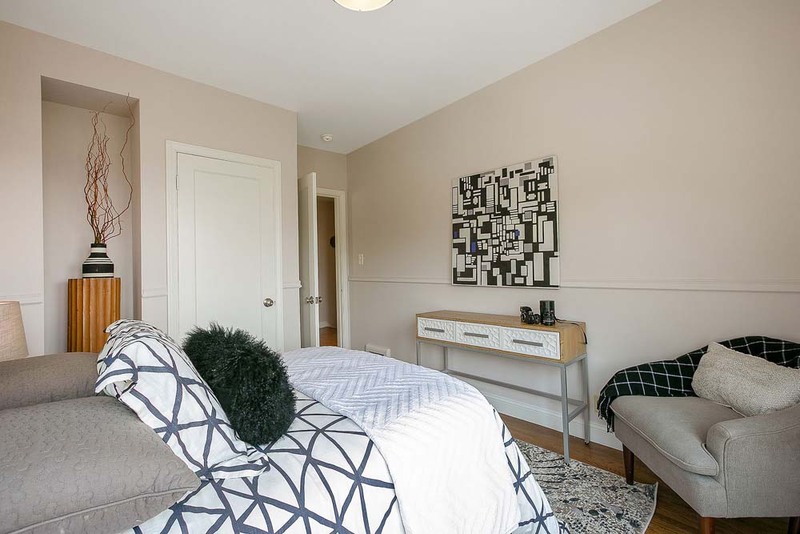 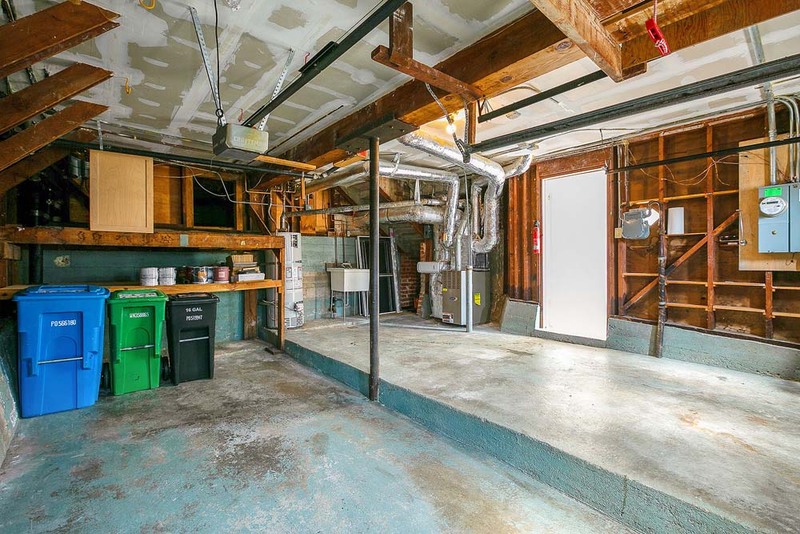 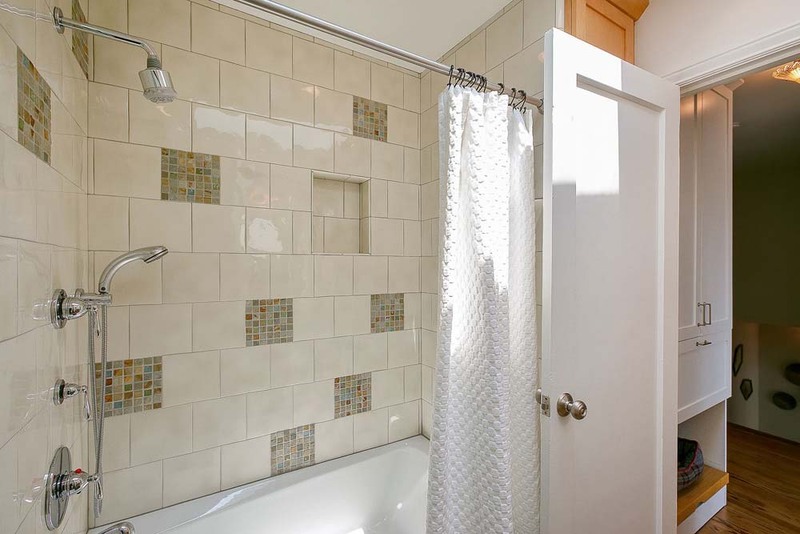 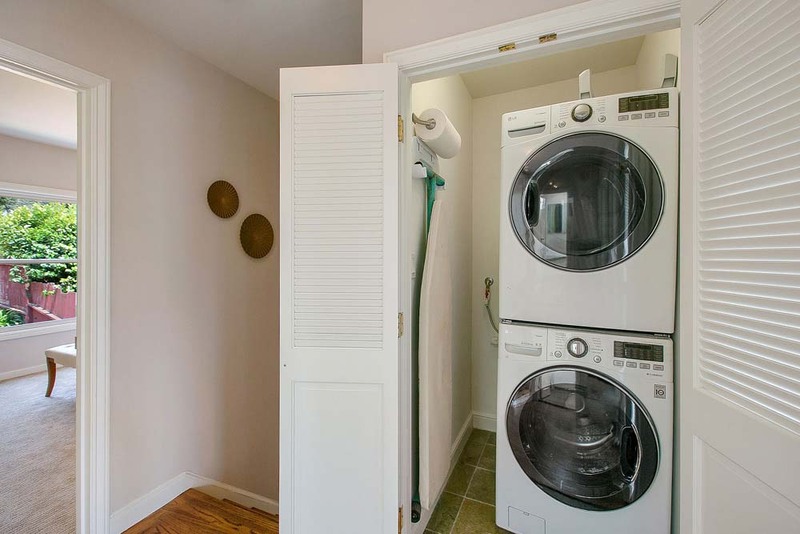 The upper level features three bedrooms, laundry closet, and two updated baths including an en-suite master bedroom overlooking the beautiful rear yard. 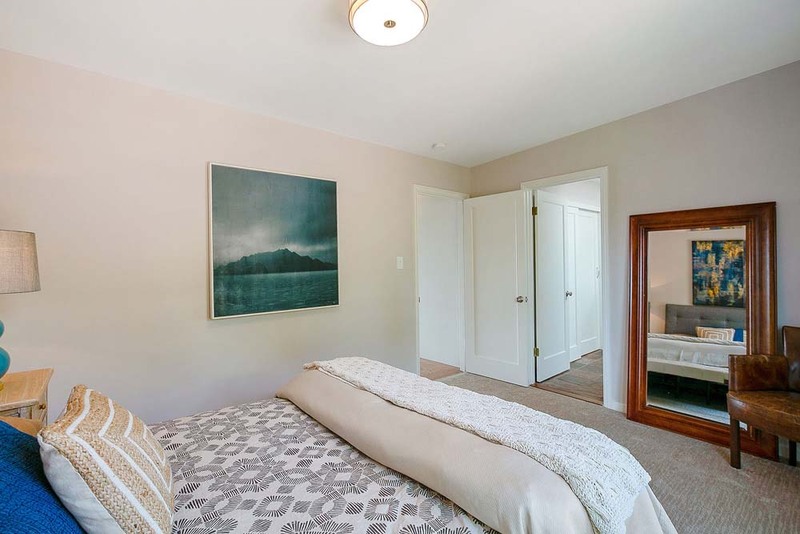 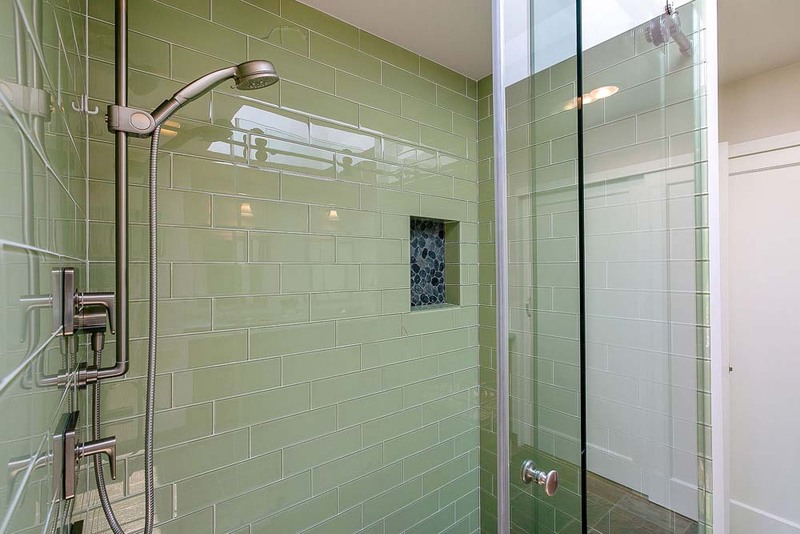 Other features include hardwood floors, recessed lighting, radiant heat in hall bath, plus two-car garage with ample storage. 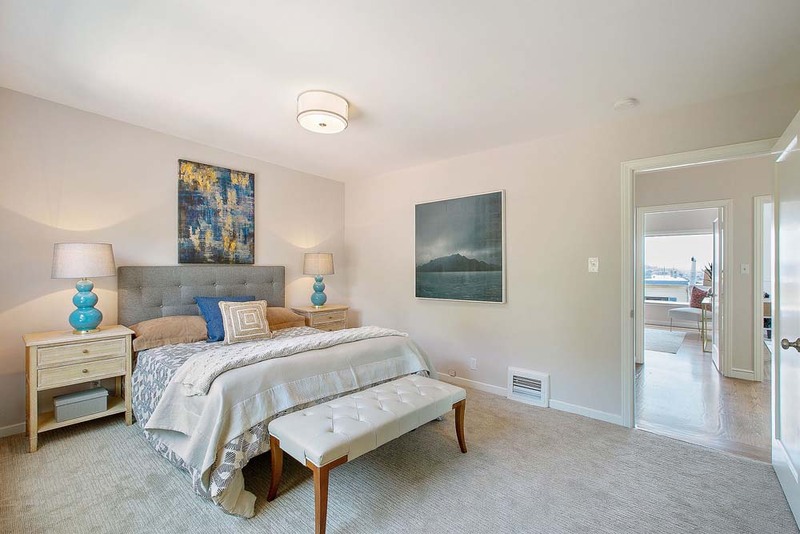 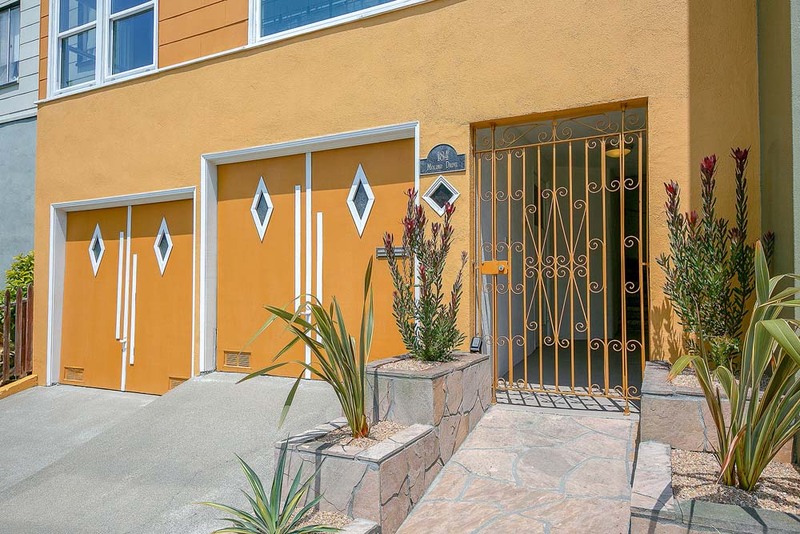 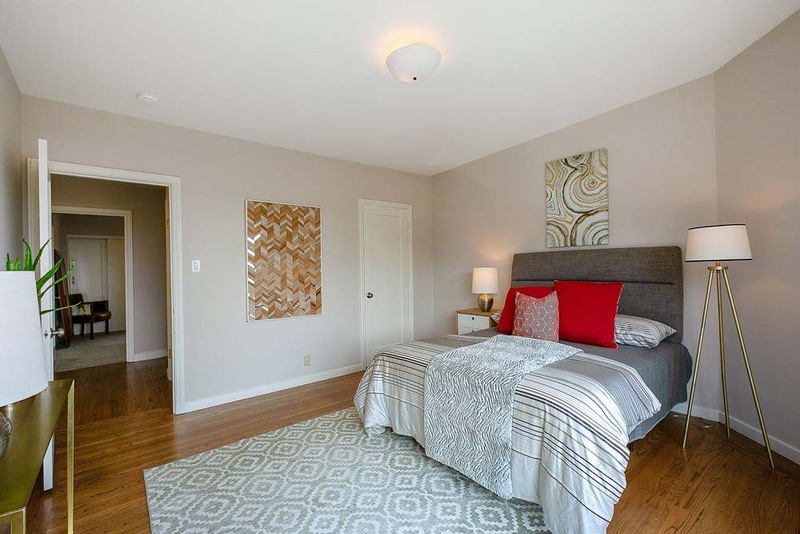 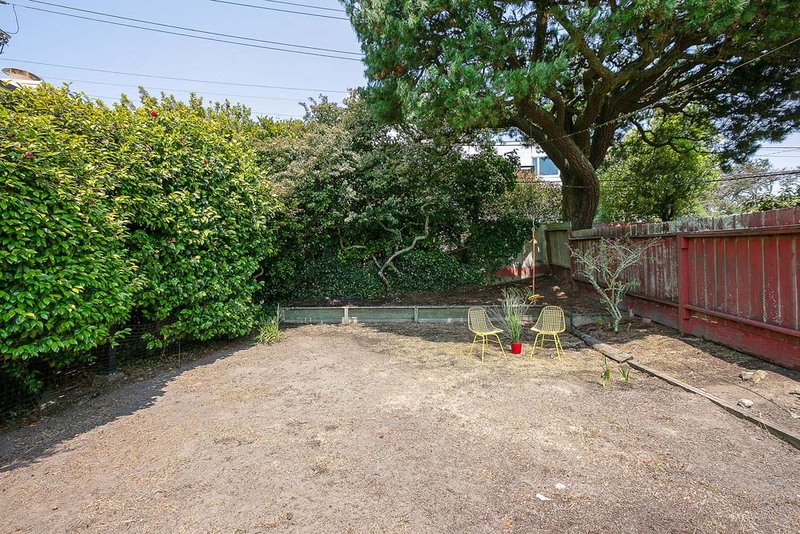 Conveniently located close to Miraloma Elementary School, with easy access to local shopping and freeways – 184 Molimo Drive is a great place to call home!